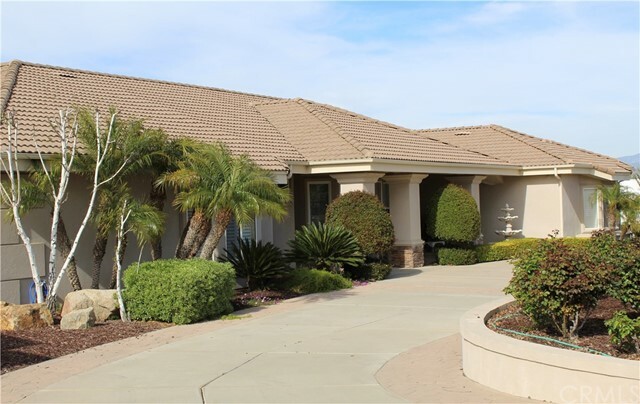 All Temecula homes currently listed for sale in Temecula as of 04/21/2019 are shown below. You can change the search criteria at any time by pressing the 'Change Search' button below. If you have any questions or you would like more information about any Temecula homes for sale or other Temecula real estate, please contact us and one of our knowledgeable Temecula REALTORS® would be pleased to assist you. "If you're looking for a fantastic investment, this is it! 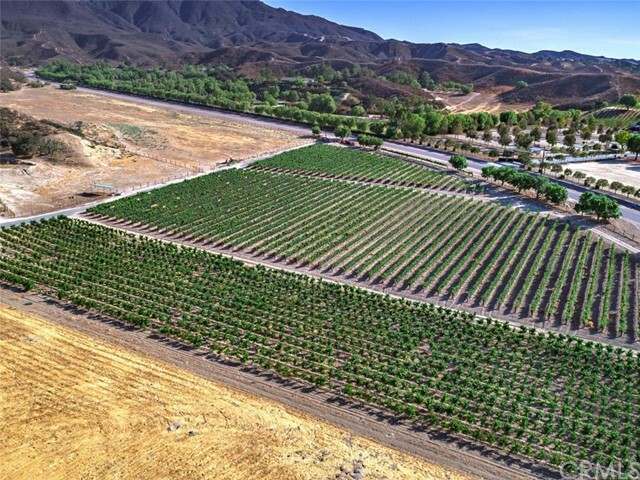 One of the largest parcels left in the Temecula Wine Country. This was the personal residence of the owners of Vail Ranch, having sold over 86,000 acres of land, they choose this location for their own ranch. 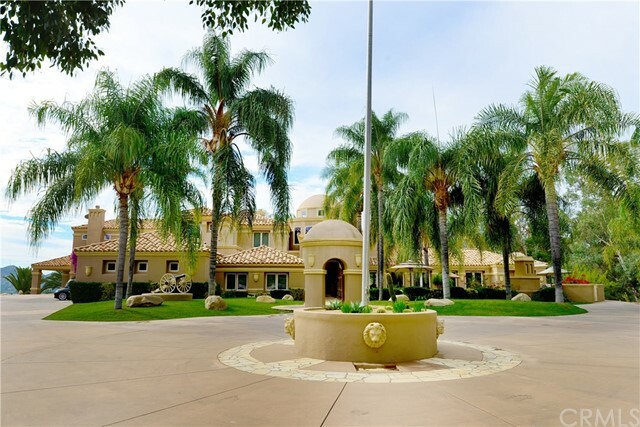 Beautiful grounds with 300 year old oak trees and incredible huge cottonwood trees makes you feel as if you are on a ranch far away yet you are minutes to all shopping and Temecula Wineries. 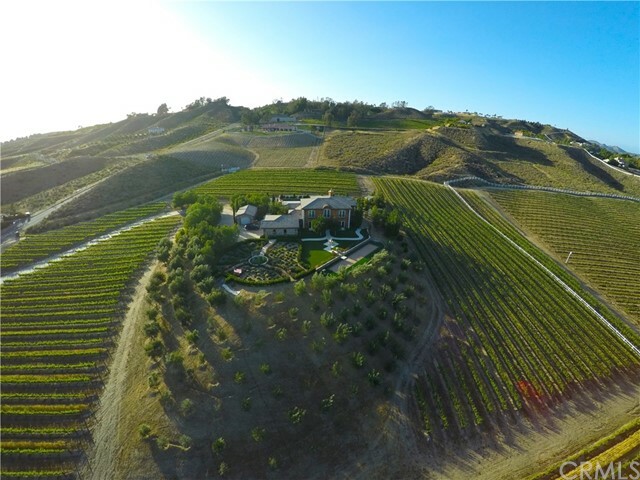 5 acres of professionally managed Vineyard"
"A Santa Barbara inspired 11,050 sq ft fully furnished luxury estate in the foothills redefines elegant country living. Nestled amid verdant landscaping and overlooking the rolling hills is the area's pre-eminent family compound or corporate retreat. The home was built surrounding a watery oasis and entertaining mecca. 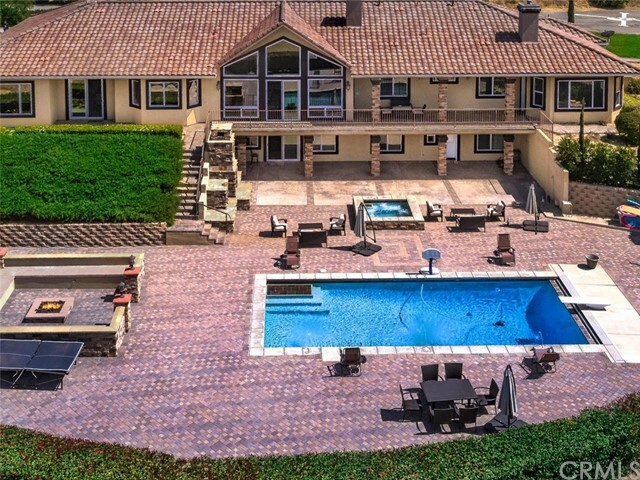 The resort like pool and spa are the centerpiece of the courtyard surrounded by the main residence which is a 3 bedroom, 2 guest casitas, 8 car garages plus RV garage & 2 bedroom g"
"Over 20-acres on 2 APN's along the De Portola Wine Trail in Temecula with Wine Country-Wine District (WC-W) zoning. This size acreage in the WC-W District has vast opportunities build up to a Class V winery! Already installed are Irrigation Mains and Sub Mains as the property was previously planted. There is also a 4200/sf custom home and second structure of over 5000/sf. 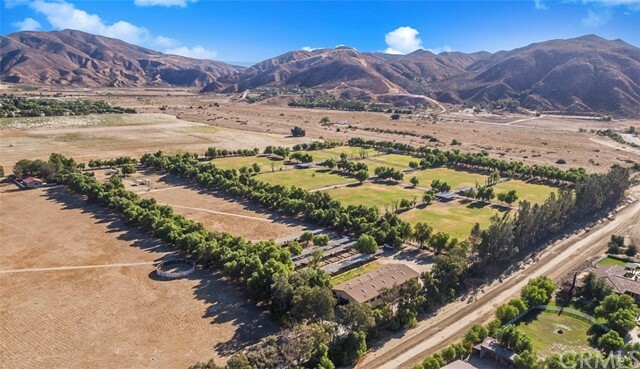 Both structures have solar and the second structure, originally intended for wine production, has 3-phase power"
"Situated in Temecula s Valle de los Caballos, Ren-Mar Thoroughbred Farms is a sprawling 43.25-acre property along the De Portola Wine Trail. As you walk the property, it s evident that the spirit of horse racing runs deep through the veins of Ren-Mar. Enjoy tree lined drives and lush pastures where horses graze with a beautiful mountainous backdrop. The 50 x 120 10-stall barn with second story living quarters and first floor offices i"
"This spectacular estate is nestled on 39 plus acres w/wonderful views!. A wonderful single story custom estate completely remodeled. Boasting 8,000 sq. ft of luxurious living. The gourmet kitchen is perfect for grand scale entertaining. Wolf range, double ovens & quality custom cabinets. Fantastic office w/ glass enclosures, custom cabinets & counter space. Large windows thru out w/ walls of French doors that provide abundant sunshine. Vaulted wood beamed ceilings coupled w/seamless disappearing"
"This One of a Kind Luxury Estate has been lovingly built with no detail overlooked! 6,800+/- Sq. Ft. of living space, 12,000+/- Sq. 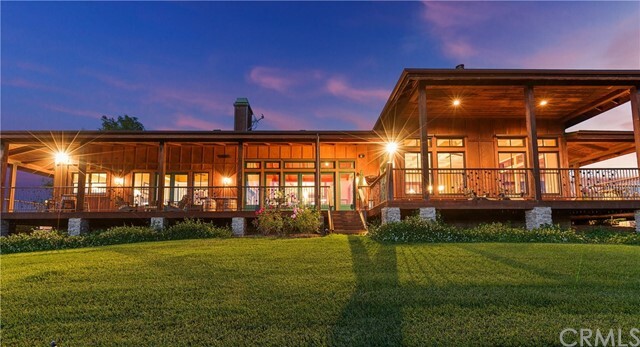 Ft. overall under roof, 5 acres atop a gentle knoll with views. The Great Room with 26' high open beam ceilings, has view of the Temecula Valley and Mount Palomar beyond. The 24' wide sliding door opens completely to the huge covered patio, fireplace, outdoor kitchen and BBQ-allowing unparalleled entertaining and enjoyment of the outdoors. The gourmet kitchen has 4 "
"***THE ULTIMATE FAMILY COMPOUND ESTATE in the center of the City of Temecula in the Chaparral Estates area. PRICE REDUCED! 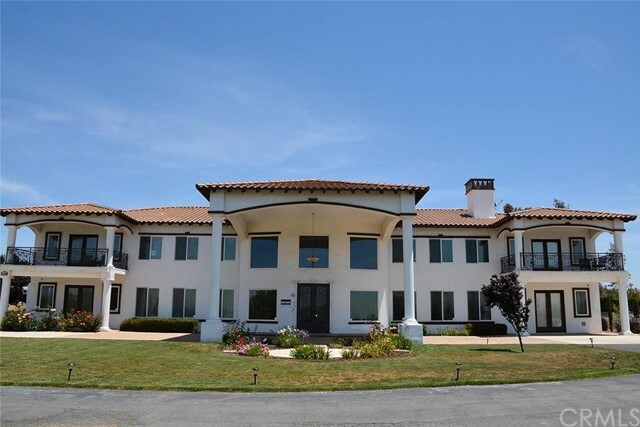 This is an Incredible opportunity to own this magnificent 11,000sf plus estate with 7 full bedrooms plus 1 loft bedroom plus Office plus massive Game Room, 10 bathrooms, nearly 2,000sf Master Suite w/retreat, wet bar, fireplace, private balcony, massive Game Room/ Entertainment area,Executive Office Suite, Expansive living areas, Gigantic Kitchen, multiple wet bars, fireplac"
"Income producing vineyard estate nestled on 9+ acres of immaculate grounds. Planted with Viognier,Pinot Gris, zinfandel which are and 108 olive trees. Destined to be its own appellation, the fruit from this area boasts celebrated wine labels. This exceptional estate home offers 5,595 sq. ft. of luxurious living. No detail was overlooked in this superb blend of size & comfort. The grand living room, gracious downstairs master suite with retreat, spacious family room and gourmet kitchen offer the "
"The Beautiful Life, Incredible 40+ acre Vineyard Estate of unparalleled beauty and panoramic views where you will enjoy the rural setting while being only 10 minutes back to town. This breathtaking estate features two homes plus a barn & caretakers apartment, award winning wine vineyards, avocado groves & gardens. The result is a property steeped in subtle sophistication & tranquility. A gated drive winds around the vineyards before descending upon the main home, set amidst private gardens & a l"
"Run, don't walk to this Architectural Masterpiece in De Luz! This spectacular compound is incredible, nestled on almost 20 acres of breathtaking grounds. Beautiful vineyards planted with Cabernet Franc, Sauvignon blanc and Sangiovese. Beautiful oak trees & a running creek all year round. Take a stroll on the many hand placed stone paths. This one is special & one of a kind. Main house plus 4 guest houses and RV garages. The main house is spectacular with walls of glass letting the outside in wit"
"Welcome to one of the most incredible equestrian estates that the Temecula Wine Country has to offer, featuring sweeping 360 views of Palomar Mountain, vineyards and city lights. 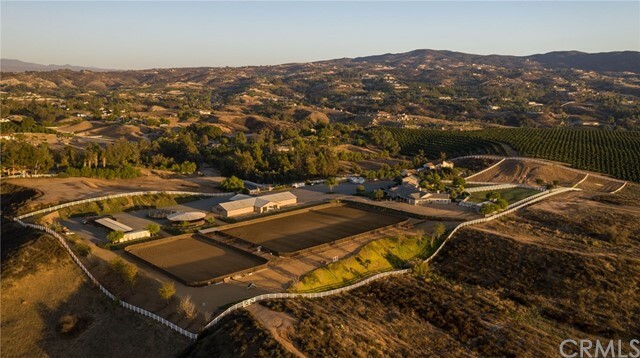 This elegant equestrian estate, located at the end of a private street on approx. 10 acres, features spectacular views, privacy and tranquility. Single story main house features 4634sq.ft. with 4 en suites, chef's gourmet kitchen with granite counters,custom cabinetry, Kitchen Aid appliances, 5 burner cook top. 20X20 fa"
"Inspired by The Getty Villa, this Mediterranean pool home is situated on a private hilltop at the end of a cul-de-sac in Temecula s unique community of Country Road Estates where home sites are on 5 acre minimum lots. The driveway leads to a 7 car garage with an elevator to the residential floor. Solid hardwood floors are throughout the common areas, other features include 3 zone heating and air conditioning, bathroom with shower by the pool, and a nicely finished "
"The best buy of Temecula Deluz estate, Its features 4 homes compound has 7737 sq.Ft. Through the main gate, the driveway leads you to the private hill view of the valley. The fresh chateau, main house is 4937 sq. Ft with three bedrooms, four bath and a huge five car multi purpose garage, reflection pond with numerous fountains, private herb and rose gardens, huge fenced dog run and bird aviaries, the interior craftsmanship of school woods and European imports make this stunning French provincial"
"Spectacular Wine Country Estate located in the Prestigious Country Road Estates area in Temecula. Nestled on 6+ acres with incredible views. Offering 6119 sq ft. of luxurious living. Beautiful Iron & glass double door entry, marble & wood flooring. A Wonderful family room w/ custom built ins & fireplace Elegant living room w/fireplace & beautiful views of the valley. Entertain with ease in this spectacular kitchen. Top of the line Wolfe appliances, double ovens & warming drawer, sub zero refrig "
"This stunning estate is a work in progress, with hundreds of thousands going into upgrading the entertainers Dream home. situated on tope of the hill and at the end of the duldesac, with 360% panoramic views. 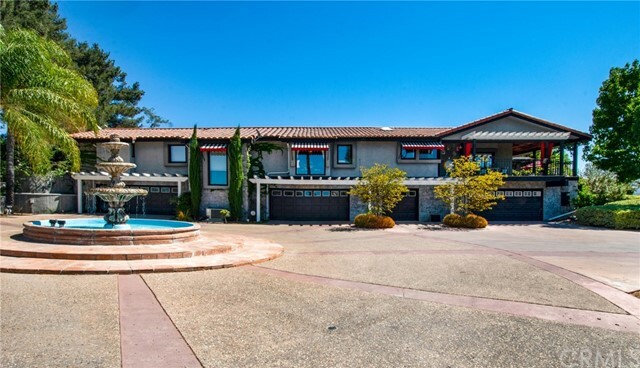 This 6300+ square foot home is one of the most private and scenic lots in De Luz. Located on over 11 acres is fully plumed irrigation for avacodos or a vineyard. This large home being upgrades to be filled with gorgeous features, a stunning dual staircase entry with 24' ceilings. 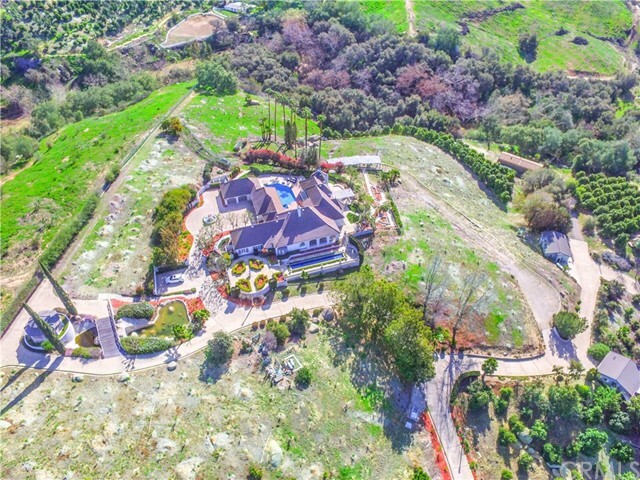 This prope"
"Beautiful 5 acre estate home, situated in the heart of Temecula Wine country offering unbelievable views. Downstairs bedrooms have private patios and all upstairs bedrooms offer balconies. This home is perfect for entertaining, large kitchen also has a back up cater service kitchen. Home is currently being used as a vacation rental with much success. The possibilities here are endless!" 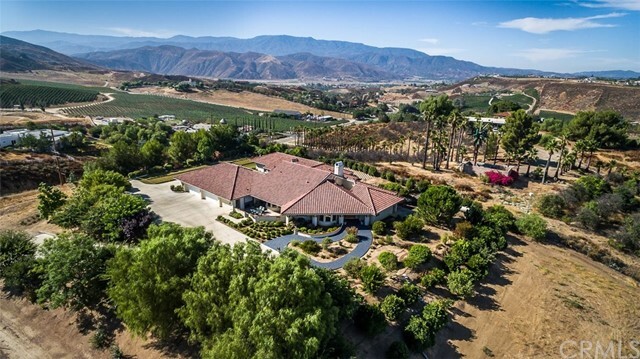 "Located in the Heart of Temecula Wine Country, here you will find this elegant French Country Horse Property Estate, nestled in the prestigious Country Roads Estates Community. This property offers 4,600 sq. ft. of luxury residential living space: main home featuring 3 bd/3 baths downstairs, living room w/fireplace, dining room, office & kitchen open to family room w/fireplace, laundry rm w/Wine Cooler Closet storing 240 wine bottles w/single set control, upstairs bonus room & bathroom & attache"
"Want it all? This is Luxury Build Opportunity!! Views, Wine Country yet closeness to amenities and schools? Walking distance to St. Jeanne De Lestonnac School. This is a dream home pad tucked perfectly in a cul-de-sac with 360 degree views in a prestigous Estate Home's area. 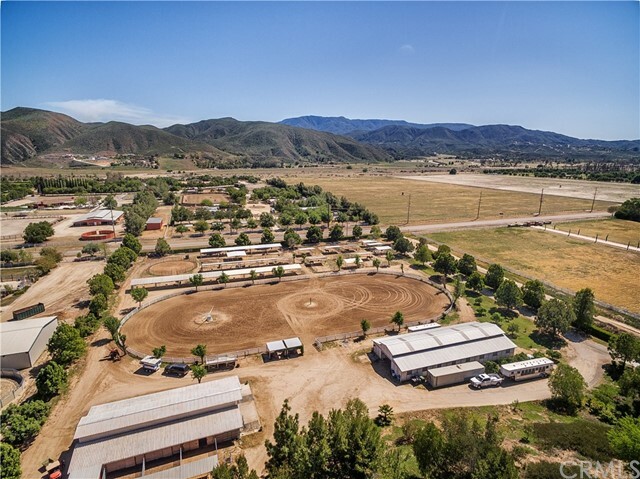 The wine county allure doesn't disappoint with 2.3 acres perfectly aligned for a equestrian or estate property! This lot sits within the Wine Country Residential Zoning. Buyer to verify status of adjacent development, utilit"
"Tuscany inspired Wine Country Estate. First time for sale! Single story home with a vineyard on a corner lot. Custom built Cherry cabinets and granite counter tops in the gourmet kitchen looking out over your own vineyard. Step out from either master suite to a morning view of hot air balloons or evening Santa Rosa sunsets. Custom faux painting throughout for a mediterranean feel. High ceilings, Plantation shutters, two fireplaces, built in garage cabinets, RV parking, and did I mention a vineya"
"A Beautiful working ranch on 8 plus acres in the exclusive Valley De Los Caballos area. The wonderful single story home offers 3 plus office, spacious bedrooms and 3 bath. Wonderful family room with cathedral ceiling and river rock fireplace. Gourmet kitchen with beautiful granite, two sinks areas, two dishwashers, two ovens, walk in large pantry. Great wine tasting room overlooking beautiful views of ranch and mountains, could be easily converted to a solarium too. Luxurious master suite with f"
"Your Private Luxury Resort in the elegant Santiago Ranchos area of the Temecula Wine Country! As you enter through the leaded glass doors you can absorb the beauty of this amazing home with unbelievable English Gardens! The Formal Living and Dining Rooms provide spacious entertaining, and large Family Room with fireplace is open to the Gourmet Kitchen - in which no detail has been overlooked - with Granite Counters, large center island, Wet Bar, walk in pantry, and extensive storage. The open fl"
"STUNNING MODEL HOME SITS ON 2 ACRES IN THE HIGHLY COVETED, GATED COMMUNITY OF THE GROVES IN THE HEART OF TEMECULA WINE COUNTRY. THIS EXCEPTIONAL TUSCANY STYLE HOME FEATURES A DRAMATIC WELCOMING ENTRY, INTEGRATED SOCIAL COURTYARDS, DEDICATED WINE STORAGE AREA AND A WET BAR. THE PERFECT HOME FOR ENTERTAINING WITH CONVENIENT BI FOLD DOORS THAT OPEN TO THE COVERED OUTDOOR LIVING AREA WITH A GAS/WOOD BURNING FIREPLACE. THE KITCHEN IS A CHEF'S DREAM WITH VIKING APPLIANCES, INCLUDING A 6 BURNER COOKTOP"
"If you dream of living in one of the most luxurious estates in Crown Hill this is the home for you. 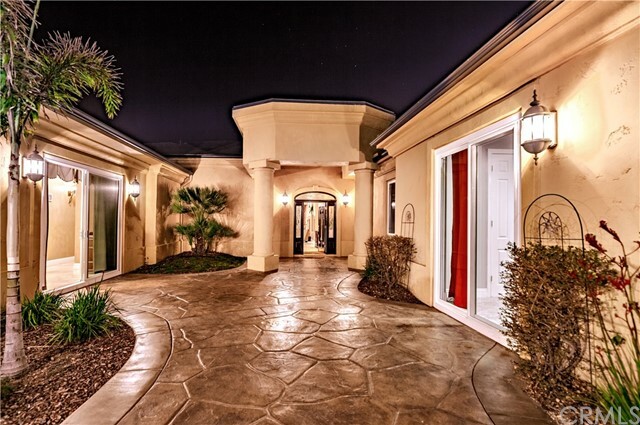 Located in the gated community called THE RESERVE , this estate features 5 bedrooms, 4.5 baths, 6,114 sq. ft., 4 car garage with 2 covered space, 5-acre lot, horse property and it is fully equipped with Smart Home technology. This estate is absolute paradise and an entertainer's dream come true while delivering the luxury lifestyle. 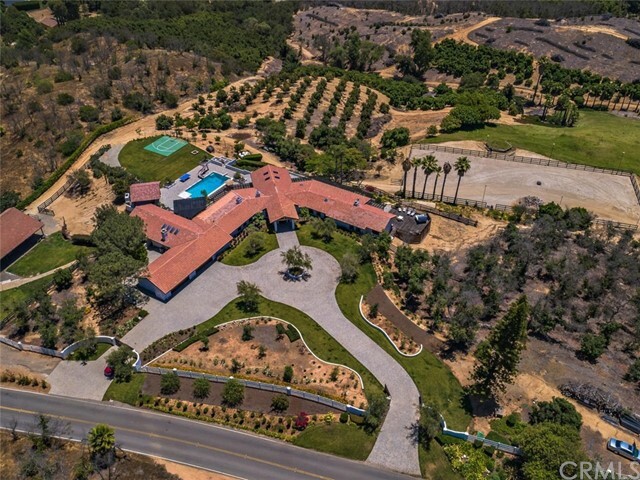 This estate offers a magnificent grand entry sliding gate with br"
"SINGLE STORY...POOL...VINEYARD...VIEWS...This impeccable home on 4.86 acres offers the setting and lifestyle of a country estate. Casual elegance abounds in 5538 sq ft with an open floor plan, beautifully appointed features, which also includes an expansive game room with bar, four bedrooms, remodeled bathrooms with unique features and a kitchen with updated appliances in a rich setting of cherry colored cabinetry and granite. The pool patio area is all pebble tech with a private setting offerin"